This Friday! Carbon Big Poker supporting The Fathering Project! We are teaming up with Carbon Group to run Big Poker again, this time raising money for The Fathering Project, whose mission is to inspire and equip fathers and father-figures to engage more effectively with their Kids. Held at the Rise in Maylands, this Friday 8th Feb, 6pm registration, 7pm start. 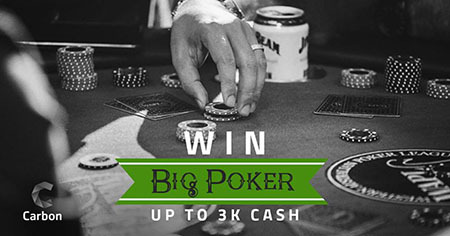 $50 buy-in ($40 to cash prizes), up to 3x re-buys before break. Registration is required, and seats are limited and filling fast! © Copyright 2006 Western Australian Poker League Pty. Ltd.